Cech is having a medical today. The sooner the better in case that man Mourinho puts a spanner in the works. It is also very important to go ahead as the security Cech will bring will have a disproportionately much larger effect on the efficiency of the whole team. And indeed the net effect might well be 10 to 15 points. Now that is huge. Cech's impact in a problem position for Arsenal will be as so obviously substantial as the sudden and momentous impact that Coquelin had on the rest of the team just by performing in a position that was so obviously lying vacant for so long. But apart from that it appears to me tha Cech's transfer will be our lot this season. Lets look at each position in turn. Right back, Bellerin and Debuchy more than good enough. Left back, Monreal and Gibbs again more than good enough. Centre back, here you have only three players in koscienly, The BFG and Gabriel. I believe we need another defender here but I think Wenger will, wrongly, ride his lack wishing no injuries happen to two of these three at the same time! He will be assuming that if need be Monreal and Debuchy can fill in if and when needed. He certainly will not buy an established starter as this will unsettle the other players. 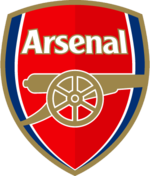 In midfield there is a plethora of creative midfielders in Cazorla, Ramsey, Wilshere, Rosicky, Arteta. But he only has two defensive midfielders one of which is excellent, Coquelin and another whose efficiency has deteriorated, Flamini. What Wenger might do is buy a young and promising defensive midfielder who could fill in when needed. Somehow however I do not see it. He will use Flamini and also Wilshere. Yes Wilshere, who in my opinion he will be ideal for this position. He has the aggression the physique and the technical quality. There are of course question marks over his ankles but if he has trully got over that problem then why not try him in that position if the need arises? For the forward positions again we need a proven goal scorer but Wenger will look at the goals scored last season and see that the goals were shared throughout the team. So he will not want to rock the boat there. There is Giroud who scored 14 gols having missed 3 months early in the season. There is Welbeck and of course now there is Walcott (with the Ox ready to play on the wing if need be). So there you are. We should be buying for three positions (cb, dm and cf) but Wenger is likely to look for solutions from within. Arsene actually called Fergie an annoying man, if you remember. 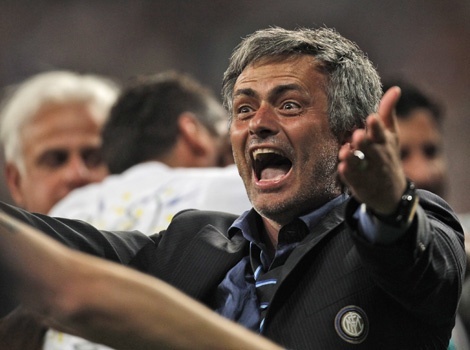 But Mourinho can be so annoying, really. He cannot accept that a player of his has chosen to play for Arsenal. He fears us so much he refused us last season the loan deal for Demba Ba and now he tries to meddle with one of our younger stars in a kind of recriminatory retaliation asking for his transfer to Chelsea! And that hack of his, Ray Wilikins, comes on Talksport without any time to waste and goes on about what a good addition to Chelsea's squad he will be. Firstly we should tell him where to go. Arsene should tell him where to go. There is no way that we are going to sell the Ox. We would rather stay with our current goalkeepers. Let's face it Ospina has been very reliable in this his first season and he is bound to improve as all foreign players do in their second season. And secondly the Ox himself will not want to warm the bench like Salah and Cuadrado have done before him. So you know what to do Mr Mourinho. It seems that Mourinho will be overruled by Abramovich and let Cech decide which team to continue his illustrious career. And Cech is likely to choose Arsenal over Manchester United as his family is settled in London; he will not want to force a change of school and city on his family. The trouble is whether Arsene Wenger will want to bring Cech to Arsenal! He has to take into consideration the existing three goalkeepers he already has on Arsenal's books. If Cech is to become the new Lehman, Wenger will have to let one of his goalkeepers go. And we all know how he loathes giving up on players he brought to the club and his commitment to them. First he will bring the authority, presence and the top quality that Arsenal need to launch at last a title winning campaign. But what is of equal importance is the lift it will give to the rest of the players who will feel that they have a world class goalkeeper to look after the nets. Do not underestimate the impact on the fans too. We will feel that we are now (and Wenger) really, really serious about winning the title again. In my opinion his transfer fee could be easily recouped by selling Szczesny and promoting the very promising Martinez. The worse decision will be for Wenger to do nothing and keep the same keepers at the club.